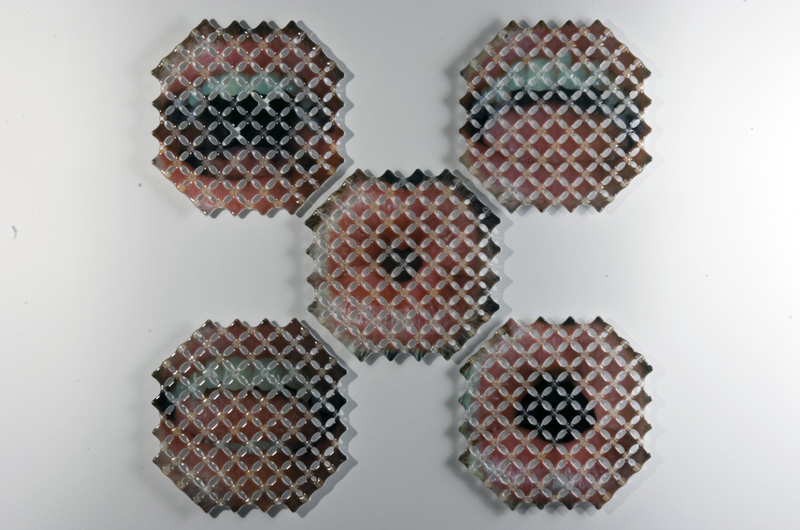 Photographs of my mouth pronouncing the vowel sounds are fused to glass. 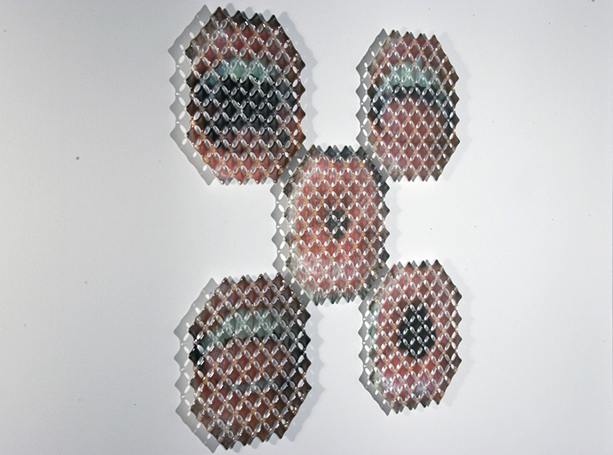 Cut into pieces and refused, glass and image give way to gravity and surface tension perforating the image. An imagined auditory sensation is generated through the synthesis of image, physical materials and natural forces.